It has been 36 years since India won a badminton singles medal at the Asian Games but Saina Nehwal was not ever aware of that. “In fact, the other day we were discussing whether anyone has won a medal before. And since we were not supposed to use our mobile phones, we didn’t know anything,” said the Commonwealth Games gold medallist. There was double joy for India as both Saina and P.V. 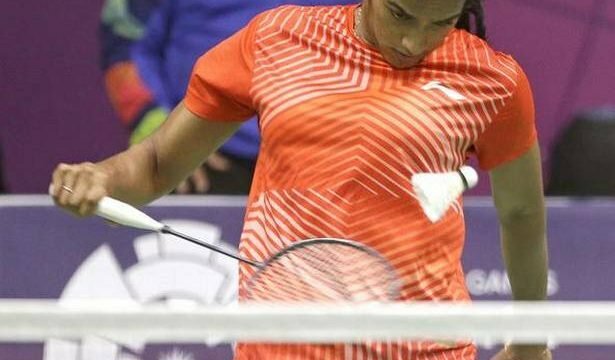 Sindhu marched into the women’s singles semifinals here on Sunday and are now assured of two medals, which will be India’s first in women’s singles at the Asiad. After trailing 3-12 and 10-16 in the opening game, World No. 10 Saina made a brilliant recovery to jolt Thailand’s Ratchanok Intanon, the former World champion and World No. 1, 21-18, 21-16. Saina almost gave up on the first game when Intanon took a lot of points, pushing the Indian to the far corners and then pulling her with deceptive drops. “At 3-12, I thought may be I should focus on the second game but then something told me, ‘fight, fight till the end, let’s see what happens’,” said the 28-year-old as she made a strong recovery, levelling at 17 and taking the first game. Intanon was shattered and was a very different player in the next game which made Saina’s job a lot easier. Meanwhile, World No. 3 Sindhu wobbled a bit midway through her quarterfinal against another Thai player, Nitchaon Jindapol, before recovering for a 21-11, 16-21, 21-14 victory. “I’m happy having come this far and I hope it is better, like a gold, here,” said Sindhu. Indonesia players continued their grand march with Anthony Ginting, the World No. 12, shocking China’s Olympic champion Chen Long 21-19, 21-11 on the way to the men’s semifinals. Ginting had upset Japan’s World champion Kento Momota 21-18, 21-18 late on Saturday.